In construction and in life you should use the best tools at your disposal to ensure you are one step ahead of your competitor. In many cases it’s not even about working harder, it’s about working smarter. There are a lot of tools out there that can help subbies and builders be more efficient, ultimately leading to a more professional experience for everyone involved as well as saving time and money. Using your laptop to help you do your takeoffs and put together a winning quote is no different from ensuring you have the best tools in your ute. For many of us tradies and subbies, we’re not professional estimators and it's not something we have grown up with and can take a little bit of setting up, but once that is done you will wonder why you didn’t do it sooner. Let’s take a look at a few of the benefits. No matter who you are submitting a quote to, architect, homeowner or builder, the more professional you present yourself and your business the more comfortable others will be to work with you. By using professional templates to present your quote you will win more work, see a sample template here. By using online software to do your takeoffs and having templates set up to send your quotes, this will help to reduce your time in the office. If you have never done either of these, a simple free tool like ConX measure can help you do your takeoff and also gives you an excel template with all the measurements and formulas in place, awesome huh. .
Time is money in the construction business so let’s be as efficient as possible. 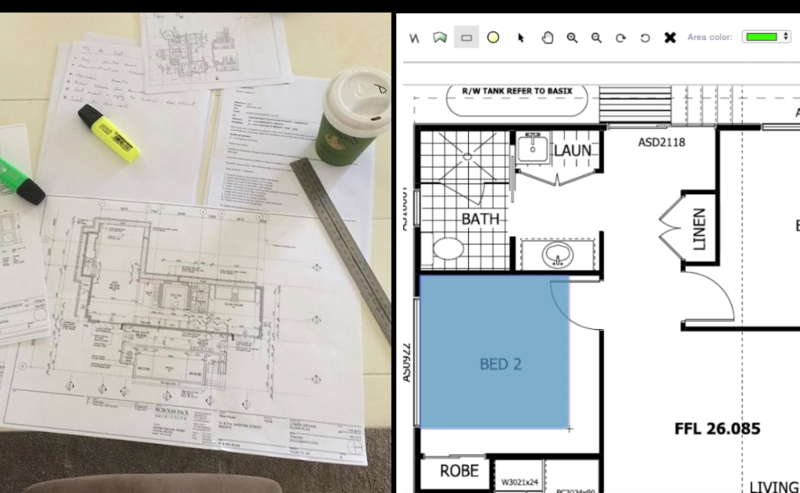 With printing costs at $1.50 per A3 page from office works, an on screen tool for looking at and measuring plans is a no brainer. Make sure you never miss anything and your measurements are spot on. With colour coded measurements on screen you can track and name exactly what you have measured. Measure areas or perimeters accurately within seconds so you can finally ditch the highlighters. Doing takeoffs and estimating is a critical part of every construction business and it is extremely important to get it right, I learnt this the hard way when running my carpentry company. Using computers is a simple way to become more efficient at this process, tools that were once only available for estimators and quantity surveyors are now simplified and available to every single construction company and some of them are FREE to use.. What is stopping you from having a look?